Mladá Boleslav’s tradition of manufacturing engines is even longer than its tradition of manufacturing automobiles. 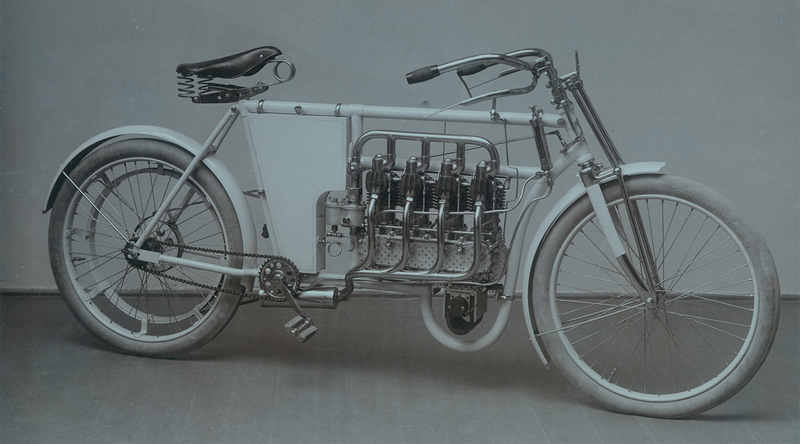 Messrs Laurin and Klement built an engine of their own design into the first Slavia motorcycle 118 years ago. 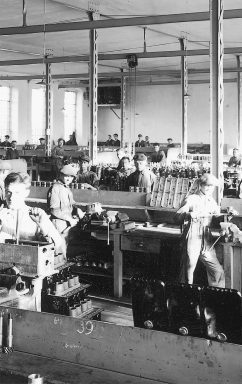 Over 13 million engines have been produced since then in Mladá Boleslav, so let’s dive into history now to reminisce some of the highlights. in its six lines. Bosch offered its device at 80 marks per unit, was not prepared to provide any discount and refused Laurin and Klement’s idea of testing the device in the Mladá Boleslav-made machine. Further letters apparently bothered him so he started replying without paying the postage, i.e. at Laurin and Klement’s cost. In the end the Boleslav engineers came to understand the whole principle and designed their own ignition system that was lighter, cheaper and more practical. “The result of presenting this vehicle of the future was indeed great”, Národní politika (newspaper) wrote on 21 November, 1899. 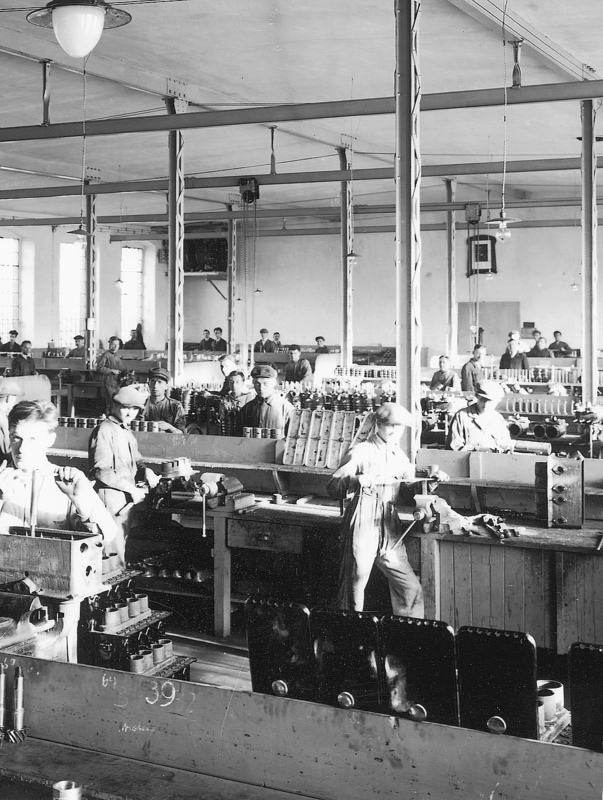 The history of Mladá Boleslav-made engine was born. 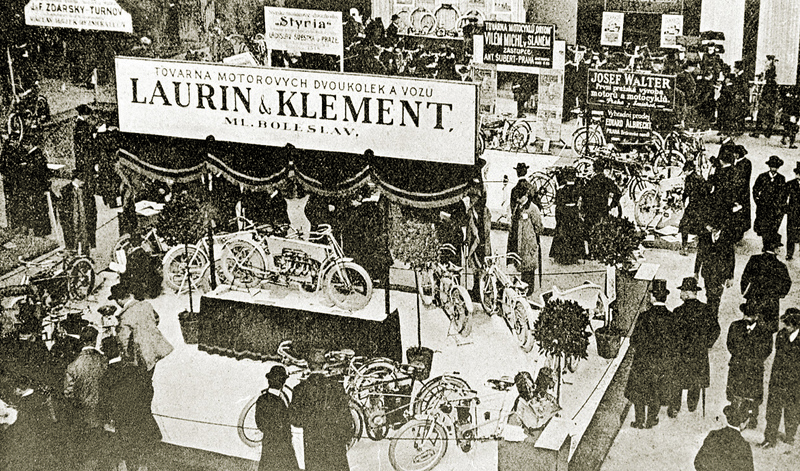 Laurin and Klement continued producing motorcycles for some more time. The volumes of their engines kept growing, and in 1904 the Mladá Boleslav engineers designed one of the world’s first four-cylinder engines. Its name was CCCC, and it was made up of four independent, transverse-mounted one-cylinder units with a single crankshaft. The rear wheel was chain-driven. 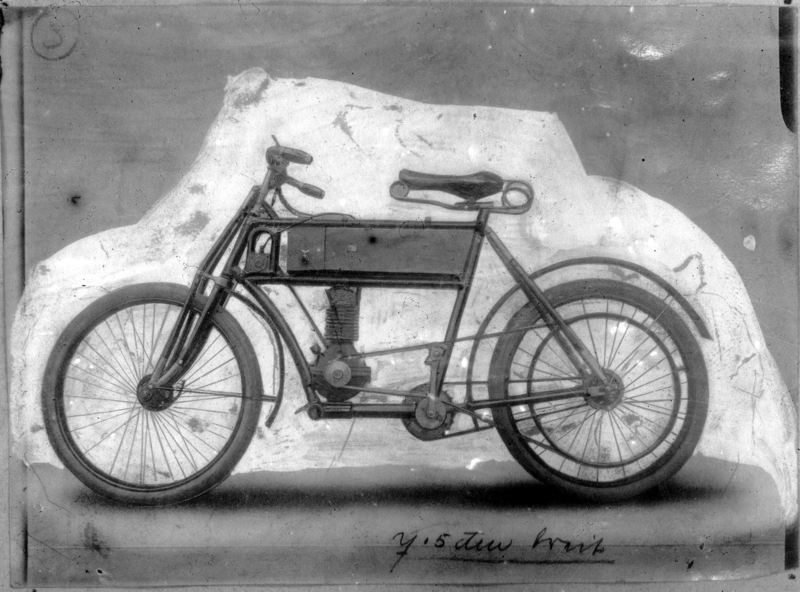 The top-end product of that time was a racing two-cylinder 693 cm3 V-engine with which Václav Vondřich won an unofficial world championship in France in 1905. Driving a motorcycle was not as easy as it is today: with no clutch in place, the driver had to pedal the motorcycle like a bicycle to start it, and then control the exhaust valve, which was not simple. The first clutch appeared in 1906. 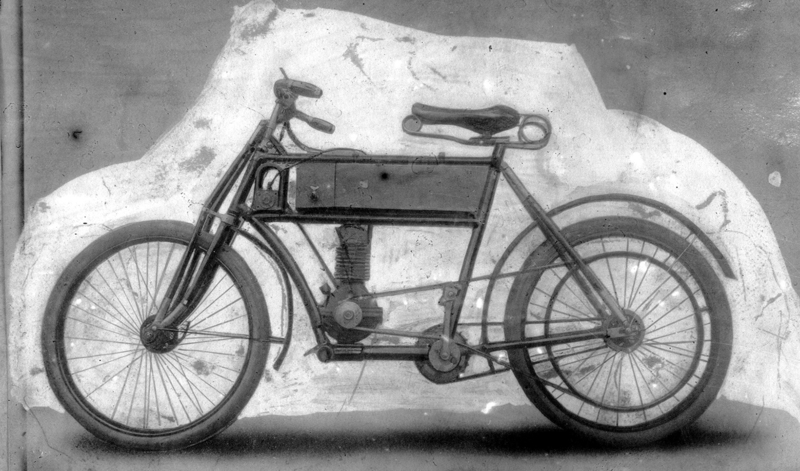 Laurin & Klement kept manufacturing motorcycles for some more time, producing ca 6,500 units by 1910. 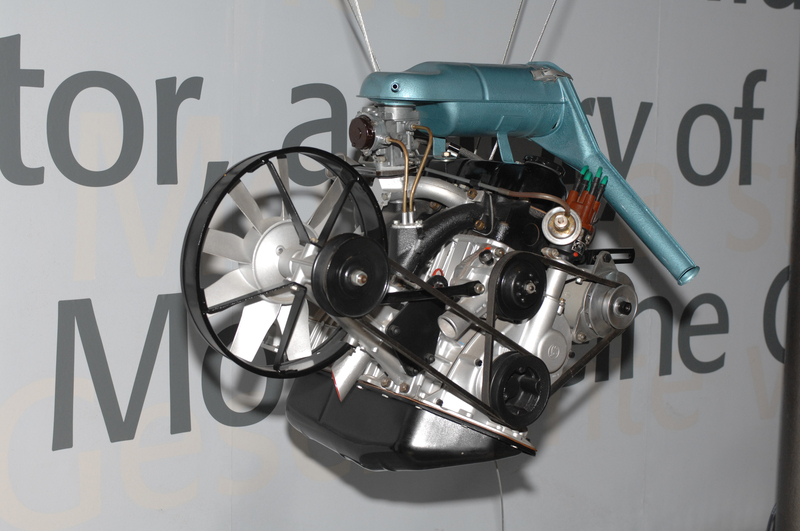 Motorcycle engines were a useful lesson how to manufacture engines for automobiles, which in fact was what the company intended to focus on. 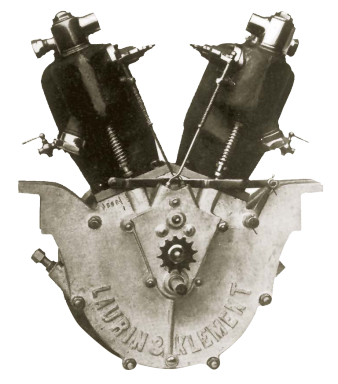 Before introducing their first automobile to the public, Laurin and Klement decided to showcase its engine. 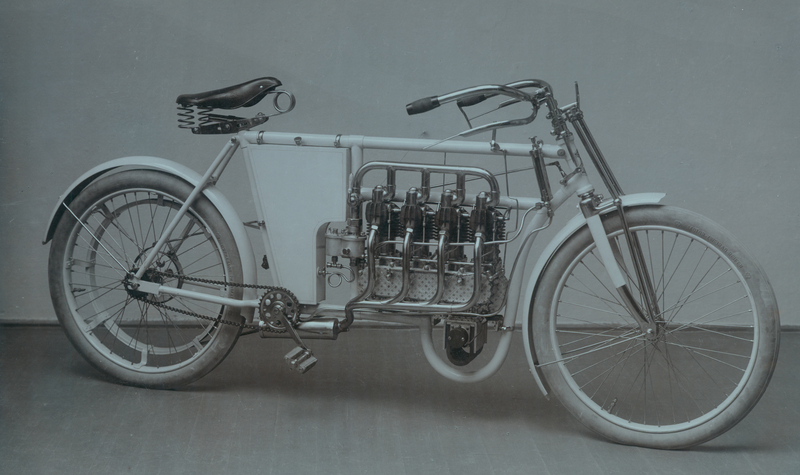 Although it is apparent from the photographs taken at the Prague Motor Show in April 1905 that the highlight of the company’s presentation was the CCCC motorcycle, the two-cylinder liquid-cooled V-engine is to be found in the bottom right corner. The first photo of the whole vehicle, the Voiturette A, was published in the second half of 1905, first by Allgemeine Automobil Zeitung and then also by Sport a hry magazine. This two-seater was able to reach the then maximum speed limit in Austria-Hungary, 45 km/h, and its 1,005 cm3 engine produced 7 HP. One year later, this engine was followed by the first four-cylinder for Type D and in 1907 by the FF eight-cylinder, one of the world’s first eight-cylinder engines. The automotive industry did not flourish after the Great War – cars were considered a luxury product, and sales were accordingly low. The Mladá Boleslav plant – rebranded to ŠKODA –manufactured also freight and commercial vehicles besides passenger cars. 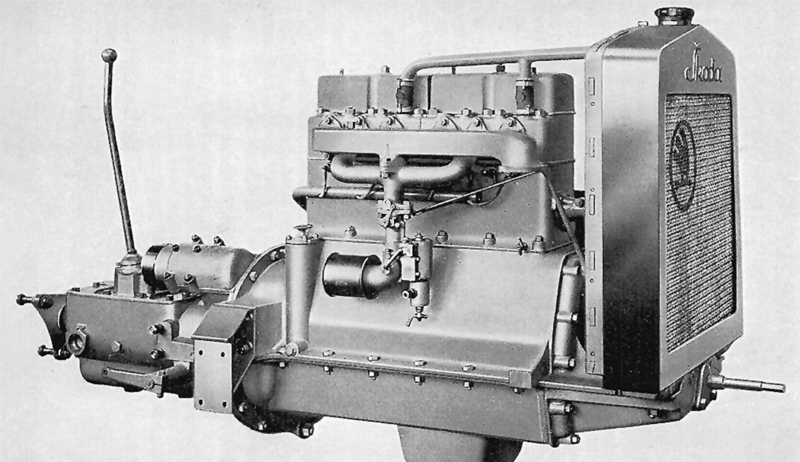 Probably the most “extreme” project on the engine side was the assembly of Lorraine-Dietrich aircraft engines, 24,400 cm3 twelve-cylinder units producing 450 HP. 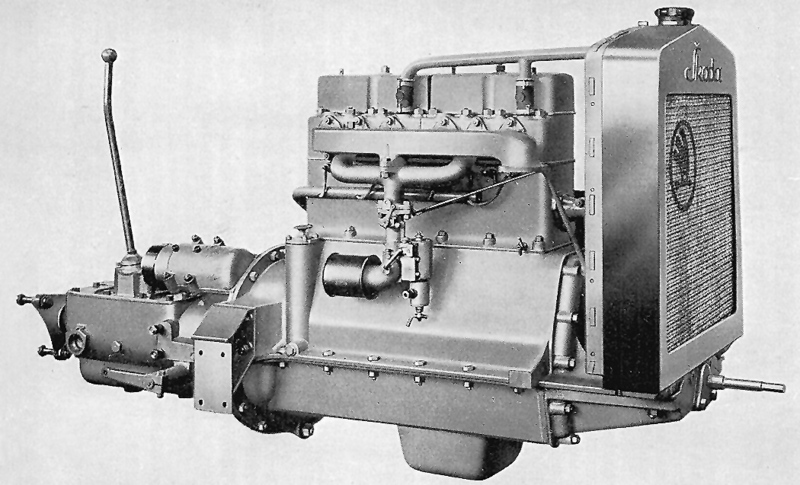 The manufacturing licence was bought in 1924, and this unit is the biggest engine the Company has ever produced. The deepest crisis came in 1933 when the Company only sold 1,607 vehicles, but this period was soon followed by an upturn in production that was triggered off by small, affordable cars. In 1934, one of the first ones was the 418 Popular with a 903 cm3 engine producing 18 HP. The high quality of Populars and (more powerful) Rapids was proven on numerous long-distance trips, the best-known being the one made by four Populars from Prague to Calcutta and back. and 406D (more powerful version). The brand’s lightweight automobile known as 254D was unrivalled in the local market. Launched in 1937, the car was fitted with a modern high-speed diesel engine which again the brand designed completely internally. In 1941 the then Chief Engine Designer Oldřich Meduna was forced to cooperate with Ferdinand Porsche in Germany on developing the ŠKODA RSO, a heavy-weight four-wheel-drive army truck. In 1949 ŠKODA introduced a new type of vehicle officially named 1200 and popularly called Sedan. The vehicle was fitted with a modified four-cylinder engine originally developed in 1933. 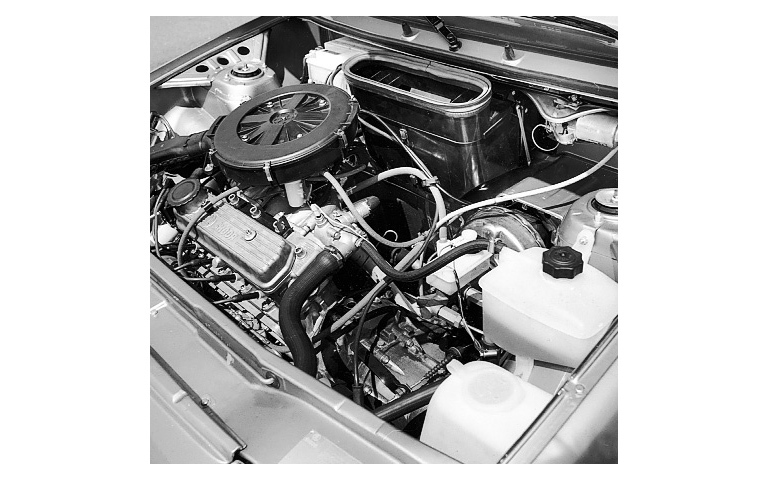 This unit was then modernised many times over years, and was used in a variety of models (440, 445, 450, FELICIA, OCTAVIA…. ), particularly in the ŠKODA 1203 that was produced by the Vrchlabí plant between 1968 and 1981 and then its production was relocated to TAZ Trnava which produced the last vehicle of this type in 1999. 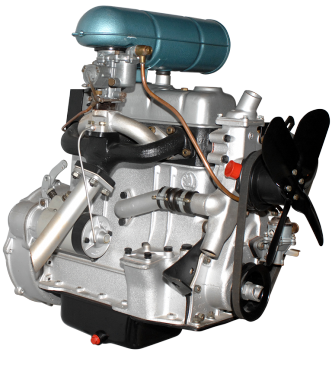 The original engine was used as the basis also for the engine fitted to the 1000 MB and the MB 1000 engine was then modified for the FAVORIT, which means that this four-cylinder engine, modernised many times, actually lived for decades (and in two centuries). It took long, but it was worth it. In 1955 the brand started developing a new car which was eventually launched in 1964 under the name of ŠKODA 1000 MB. Its rear-mounted engine drove the rear wheels, and the block of this one-litre unit (988 cm3) was Europe’s first engine produced by casting aluminium (under pressure) into steel moulds. This method proved to be highly effective and, primarily, produced minimum quantities of waste. 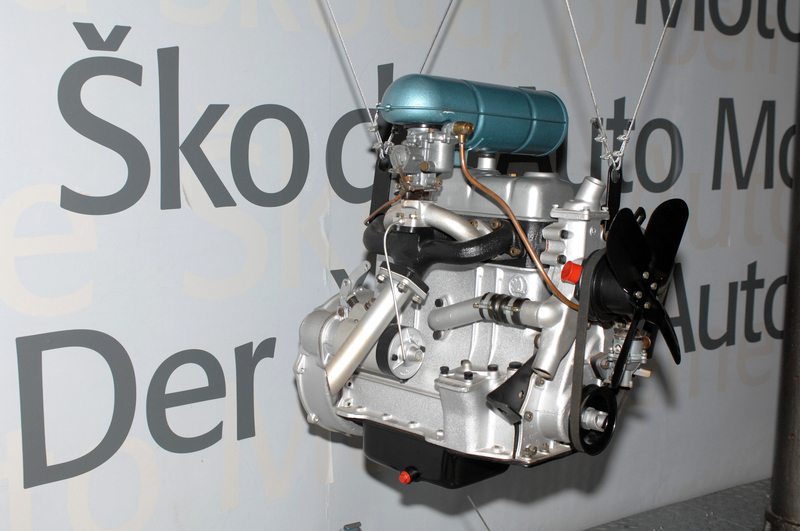 ŠKODA even sold a licence for this technology to Renault that used it for producing engines for its R 16. In late 1982 the Czechoslovak government adopted a resolution under which the Mladá Boleslav plant was to develop a brand new passenger car by 1987. This seemingly impossible task was accomplished, but as there was not enough money left for a brand new engine, the designers had to use the 1000 MB engine as the basis. Yet the result was a modern liquid-cooled transverse front-mounted four-cylinder OHV engine (front-wheel-drive) which, in contrast with its predecessors, complied with the strict emission limits. The brand’s engineers managed to extend the engine’s service life to as many as 250,000 kilometres. After a number of modifications, this engine was still used in 2003 in the FABIA. Although many people were afraid that Boleslav would become just one of the VW Group’s assembly plants with no in-house development, nothing of that sort has happened, including on the engine side. ŠKODA-developed engines made their debut in the Volkswagen Group context in 1997; the first product was a 1.0 litre 37 kW petrol engine designed for the Group’s small cars. 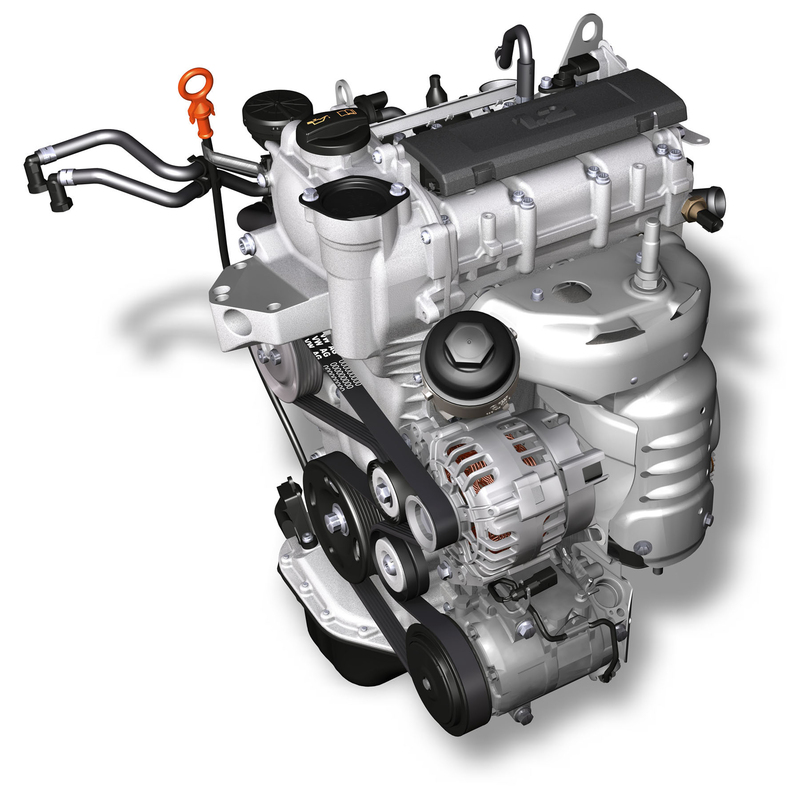 In 1998 ŠKODA was commissioned to develop three-cylinder petrol engines. The production of these new engines was launched in 2001, and the first Czech-made model to be fitted with this unit was the ŠKODA FABIA in 2003. 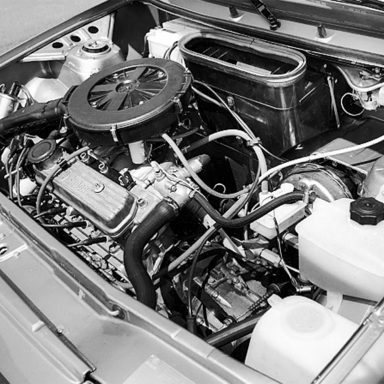 1.2 HTP engines of various power levels were fitted to FABIAs and ROOMSTERs, as well as other Group vehicles, including e.g. the VW Polo and the Seat Ibiza. 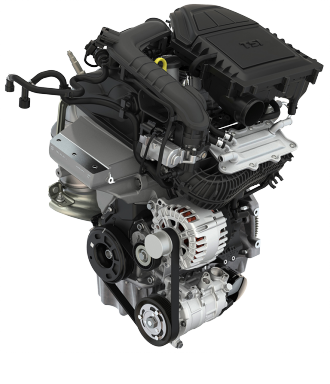 2009 saw the production launch of supercharged 1.2 TSI petrol engines. 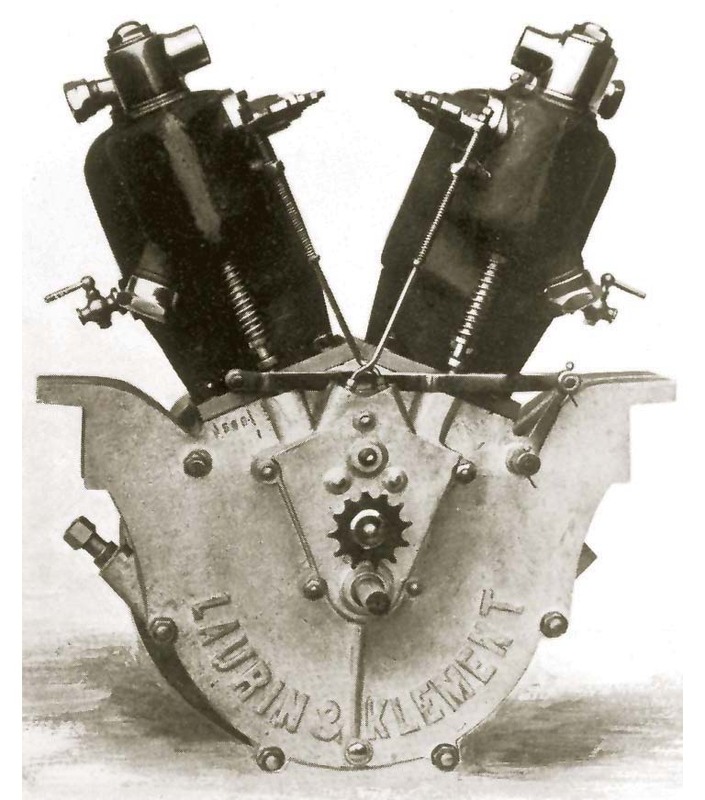 The Company’s products have been subject to regular testing since the Laurin & Klement times, and although the authors of the book titled “115 Years of ŠKODA’s Engine Testing” have not found the exact date of installing the first-ever engine brake, a photograph of 1908 proves its existence. As a modern counterpart to this equipment, ŠKODA opened its Engine Centre in Mladá Boleslav in 2014. 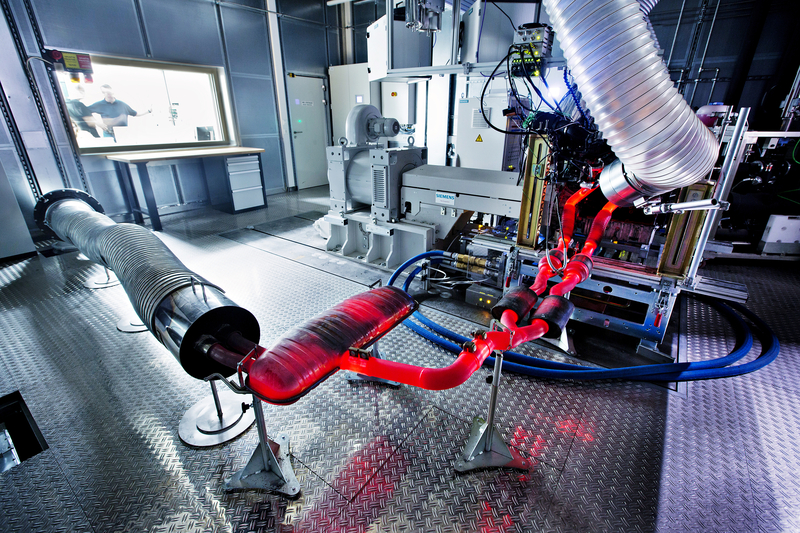 The facility houses 21 new test benches for engines and components – in addition to stations intended for tests of new series-production engines, the biggest test station (400 kW) is designed for sophisticated dynamic tests done e.g. by the ŠKODA Motorsport team. 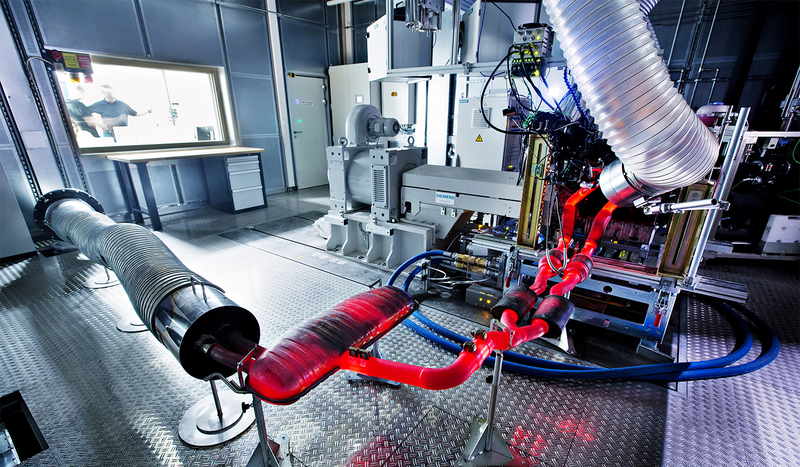 With the growing pressure on global use of engines in mind, the facility is prepared to test engines for various international markets and for various types of fuel. The number of engines produced by the Mladá Boleslav plant is now over 13 million, and 2017 saw the production launch of a brand new product - 1.0 TSI. 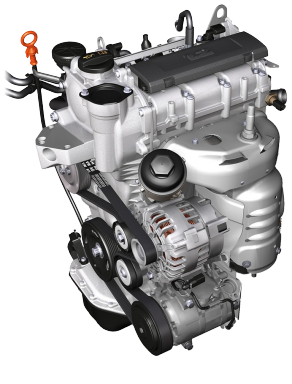 This supercharged three-cylinder petrol unit features four valves per cylinder, a cast-aluminium block, lightweight forged con rods and aluminium pistons. 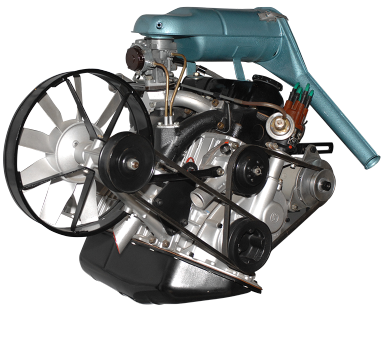 The engine does not need to be fitted with any balance shafts, and its operation is enormously smooth. 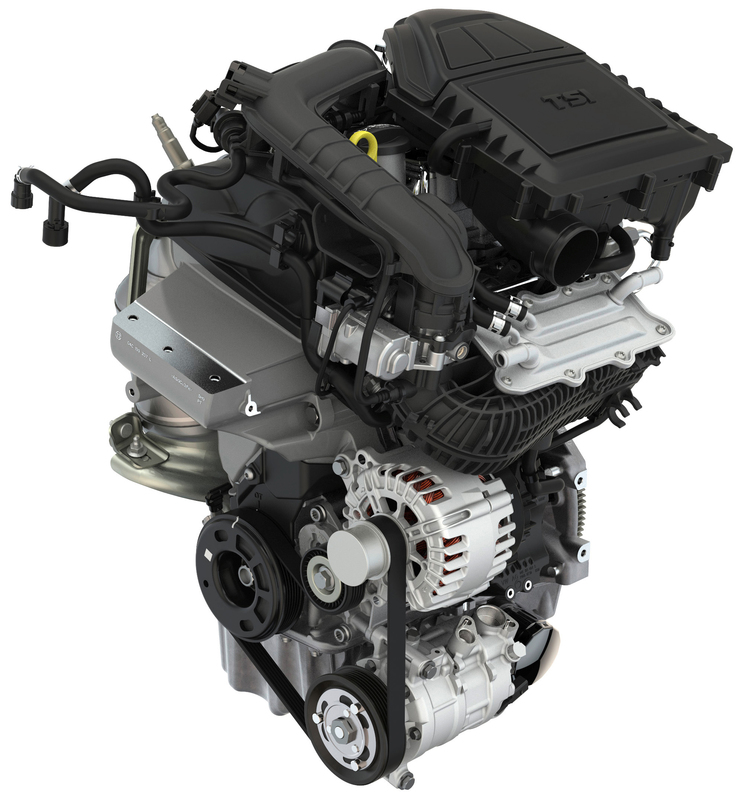 Compared with four-cylinder engines of comparable power levels, this engine is more compact, lighter and its inside friction has been reduced to make its operation substantially more economical. Employing about 1,400 people on engine production sites, the Mladá Boleslav plant currently produces as many as 2,300 engines a day.